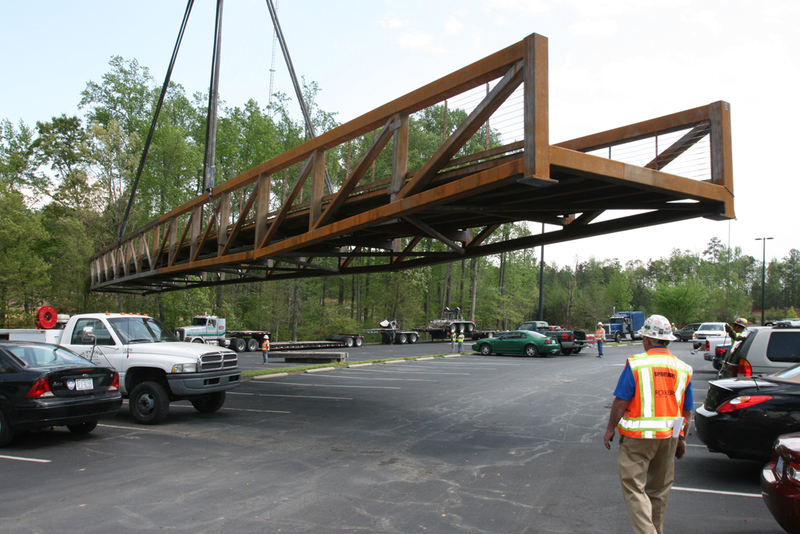 New pedestrian bridge connects CPCC Cato Campus to future academic building - Rodgers Builders, Inc.
A 150-foot-long steel pedestrian bridge was put in place at Central Piedmont Community College’s Cato Campus on Friday, April 25. 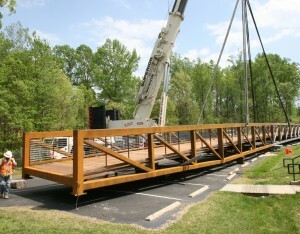 The bridge weighs nearly 82,000 pounds. 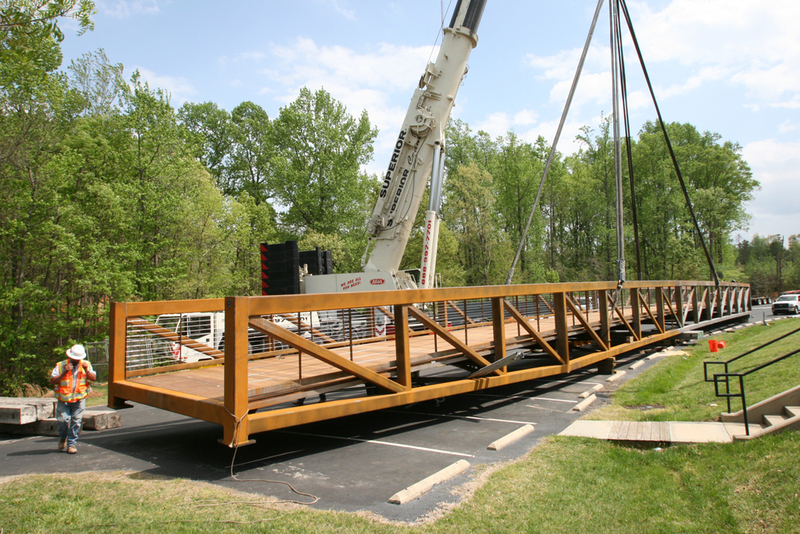 It was brought to the site in two 75-foot lengths, assembled on the ground and then lifted and put into place by an 800-ton Terex crane. 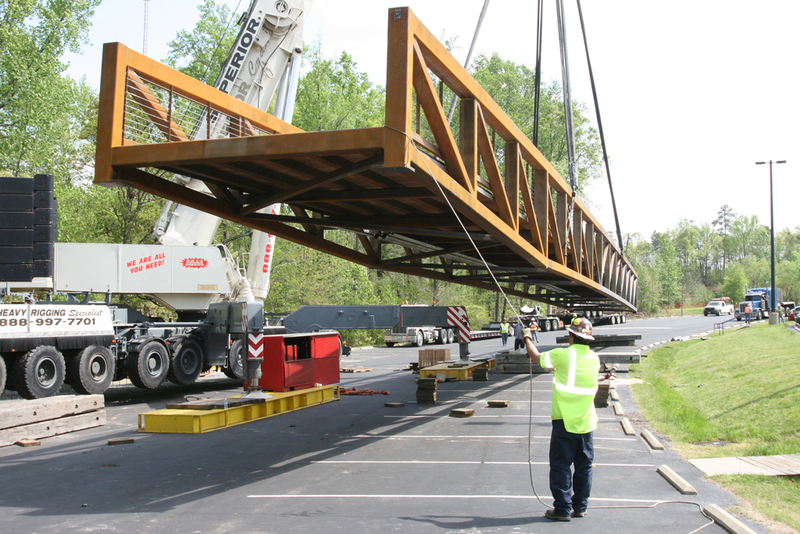 The crane, which required 11 tractor-trailer loads to be delivered to the campus, was assembled at Cato over the course of April 23 and 24. 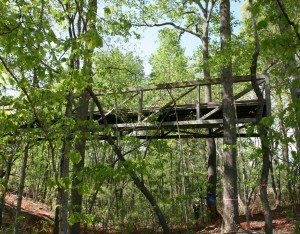 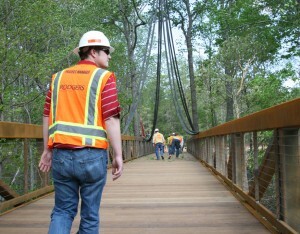 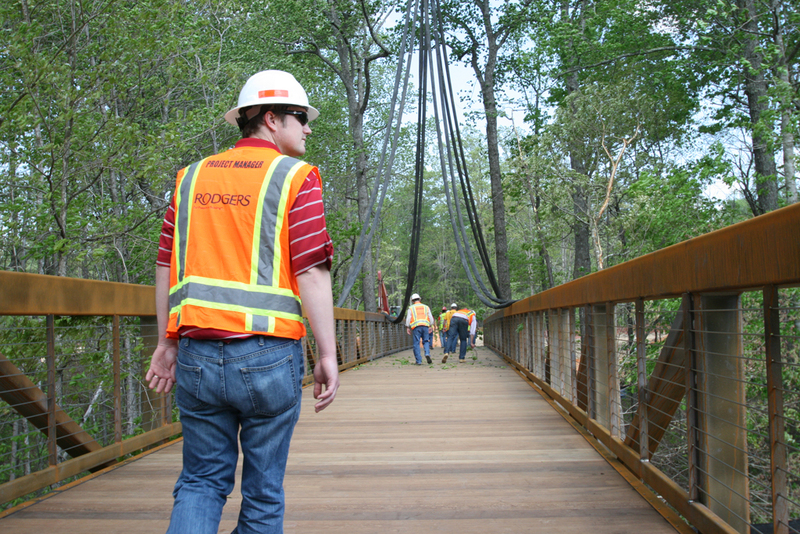 The bridge spans a wooded ravine, linking a new parking area to the main part of campus. 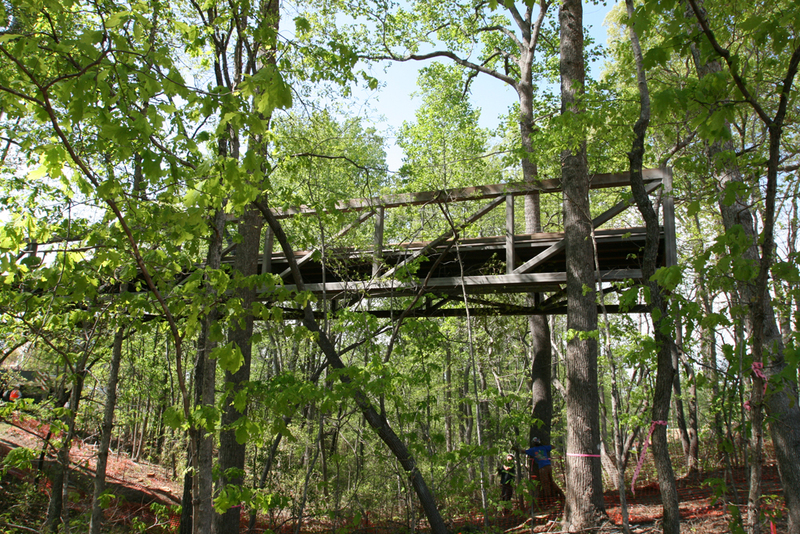 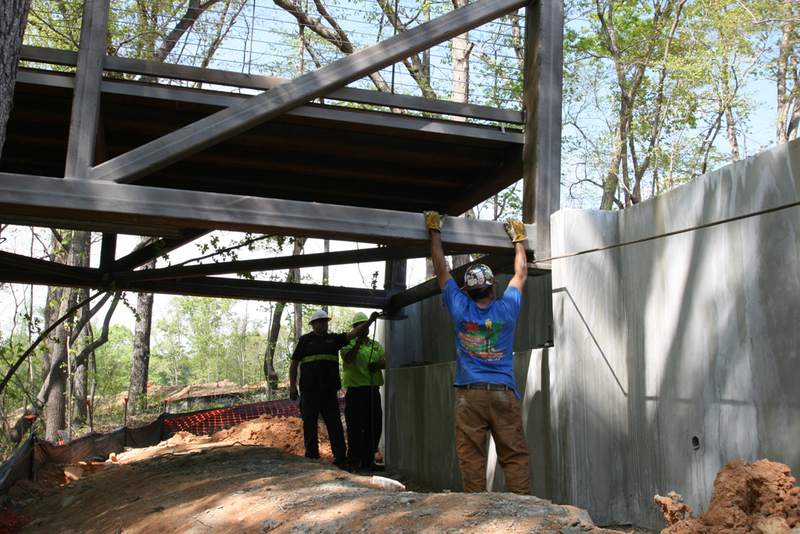 Assembling the bridge on site and lowering it into place using the large crane allowed the woods and small stream that flows through the ravine to remain undisturbed as much as possible. 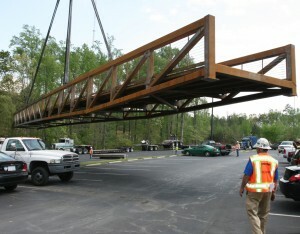 The new parking area and pedestrian bridge will give students access to a new 85,000-square-foot academic building, which will break ground in a few weeks. 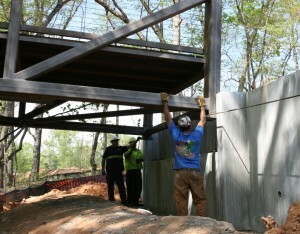 It will include space for a new library, auditorium and more student lounge and study space. 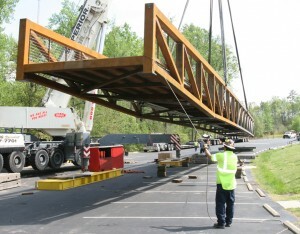 The project is part of the $210-million bond package approved by Mecklenburg County voters in November 2013.